A Lisbon-based architect practices "design without end"
Photograph by Marlene Oliveira. Courtesy of Tiago Patricio Rodrigues. 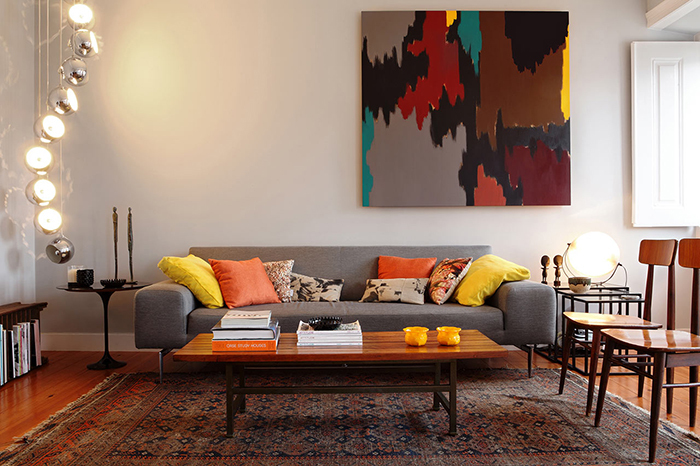 The living room is an artful tableau held together by its tight coordination of colors. Grey anchors the room’s palette, and yellow is used sporadically throughout as an accent. The subdued, modern tones pair nicely with the vintage teak and rosewood seen throughout. The contemporary couch is flanked by a Saarinen Side Table and nested set of mid-century stacking tables designed by Poul Kjærholm. 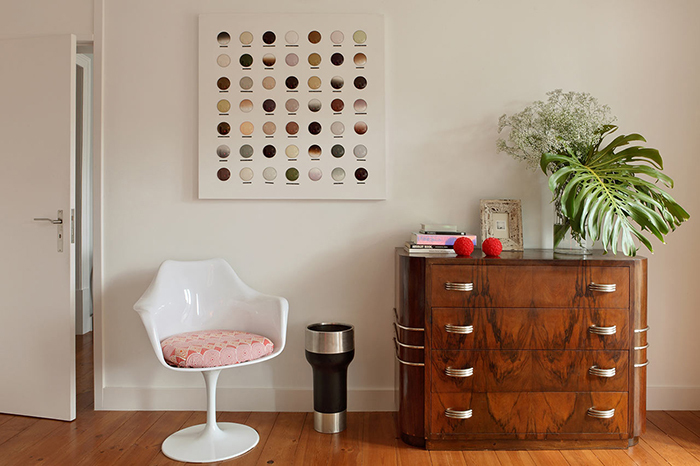 A 1950s side board and a 1960s Danish coffee table complete the room. The bedroom is strongly influenced by the Art Deco style of the 1920s, although Saarinen’s Tulip Arm Chair makes a guest appearance—its modern, all-white appearance provides the perfect counterweight to the heavily patterned and paneled Deco décor. "I strive to create environments that breathe, so that a home’s stories and aesthetics complement one another, creating a suitable backdrop for daily life,” concludes Rodrigues. All photographs are by Marlene Oliveira and courtesy of Tiago Patricio Rodrigues.